You can book your stay at Wisby Trossen by direct contact via mail from our website. Choose a date, number of guests and the room you prefer and we will contact you. 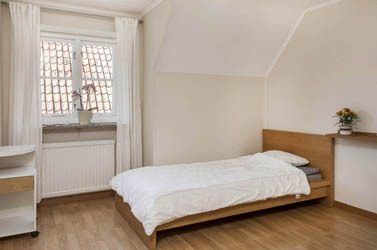 Bed linen, towels and cleaning are not included, but is available as an option. Breakfast is not included. Guests are able to use a fully operational kitchen. Check in from 15.00pm and Check out at 11.00am. Because of the great interest we have advance payment of 20% for all bookings, it is possible to rent bed linens and towels during the stay. No bookings are final before we confirm your booking by email and / or SMS. The booking confirmation you will include information about how much is left to pay of the payment and when it should be paid. Cancellation more than 30 days before the stay: 100% refundable. No refunds will be made if cancellation occurs less than 7 days prior to stay. Send an e-mail to info@wisbytrossen4.se to make a reservation. Under pictures is an overview where the rooms are located.